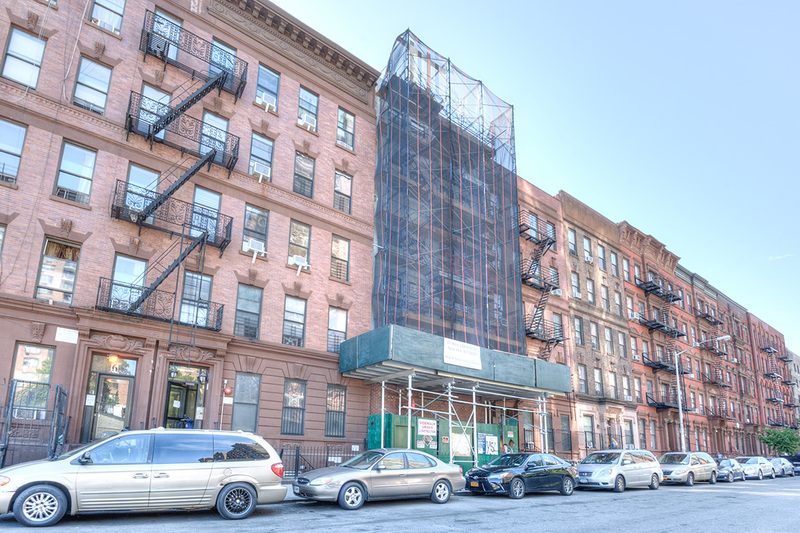 M&R Construction Group was tasked by our long-time client, a New York City real estate developer, to breathe new life into his portfolio of aging properties across a central Harlem neighborhood. The diverse collection of buildings had remained untouched for three decades as our client waited for the right time for a revitalization of this neighborhood, and the ideal construction group to make it happen. We were honored to be able to help bring about the improvement of this neighborhood, with its historic architecture and vibrant community. We approached this project as a valuable opportunity to play a part in accelerating the rediscovery of this Harlem neighborhood as an integral part of New York City’s culture. With a neighborhood steeped in history such as this one, the challenge is always to reimage and transform it, while staying true to its heritage. Going into this project, our team recognized the need to walk the delicate balance between modern redevelopment to herald the neighborhood’s future and preservation to maintain its treasured past. Our team of highly-skilled engineers, builders and craftspeople designed a plan for the buildings in this Harlem neighborhood that would meet our client’s objectives while also adhering to their strict budgetary and scheduling demands. We approached each of the buildings in the neighborhood individually, in order to devise the best strategy for preserving each one’s history while also building upon it. For some, like 10 West 132nd Street, it meant constructing a new building from the ground up, to create a collection of luxury rentals featuring 16 units in a full-service community. The apartments spread over approximately 8,600 square feet of residential space, with full-floor units on the first and sixth floors. Residents enjoy an exceptional location with high-end amenities, including on-site management, garden courtyard entry, parking, storage, laundry facilities and in-building elevator access. For others, like 303 West 137th Street, renovation and restoration of the pre-war building made more sense. First constructed in 1953, the original building was a single room occupancy, three-story, 8-unit structure. Retaining the foundation of the original building, M&R’s expert team renovated the structure and created both vertical and rear extensions to offer approximately 12,000 square feet of residential space on a lot of 1,485 square feet. The new structure is a six-story, 16-unit multi-family residential building featuring beautifully renovated baths, kitchens featuring granite countertops and spacious closets. Meticulous care was taken to restore the building’s original façade to maintain its integrity and detail. We recognize both the opportunity and responsibility that comes with redeveloping a neighborhood such as this one, and pride ourselves on our ability to work closely with a client to strategize and implement a comprehensive plan that is tailor-made for each particular project.